Earth-friendly College Shopping Means Saving Some Green! It’s no longer just a trend or a fad to try and live as green as you can. Being environmentally friendly is a way of life for some! Depending on how serious you are at it, trying to practice earth-friendly means of living can be a challenge. There are definitely restrictions and choices you’ll have to make. When it comes to dorm shopping, though, there are some surprising yet simple ways to help out the earth. Let’s face it, our environment has had to bear less-than-healthy effects due to humanity, so doing your part to help the environment can only benefit. Plus, environmentally friendly living and shopping can help you save some green as well! Using less means having to buy less, which means more money saved. You might be wondering how your dorm shopping can seriously relate to all of this- it can! DormCo has some great earth-friendly college supplies, and we also have some tips on how certain dorm items can contribute to green living. 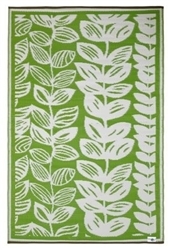 Rugs for college are key dorm decorations. College posters are always the first things to come to mind when decorating your dorm room, yet that dorm floor is just one big, blank canvas waiting to be covered by a great-looking college rug. Here’s where DormCo offers a vast, earth friendly selection. 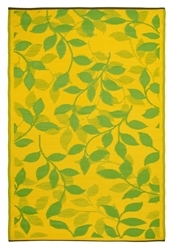 We have dozens of cheap rugs and designer rugs that are made from recycled materials. Some of our dorm rugs are made from recycled bottles, which means they’re also very lightweight and are durable enough to be kept outside! Others are made from recycled cotton. Considering that rugs for dorms are fairly large college supplies, it’s a lot of material and manufacturing that you’re helping to reduce by purchasing a rug made from recycled materials. Come move-in day, don’t pack all your dorm supplies into boxes. You may have to go out and buy cardboard boxes, and if they get wet or have to carry extra-heavy loads, they’re not the best option. Instead, take a dorm trunk as part of your college supplies. Trunks for college are one of the best investments you’ll make amid all your dorm supplies. Dorm trunks are durable, spacious, and have a variety of uses. Compared to cardboard boxes, dorm trunks are much more reusable, making them a greener option. Plus, once you’re unpacked, a trunk for college can be used as underbed storage, a mini-table for your dorm room, or even a nice a foot rest. You won’t have to buy these dorm items separately, thanks to having a multi-function trunk for college, so you’ll save some green and ultimately consume fewer materials and resources. Sometimes, even the simplest of dorm items can be made to be more green. Check out our Staple-Free Stapler- Eco Friendly. It uses fewer resources because it requires no staples! By cutting tiny strips into the paper, it connects sheets of paper without any metal staples. No, this product won’t suddenly reverse global warming, but it’s the little choices we make that can have a big impact on being green. Just be sure you recycle those sheets of paper! Doing dishes in college is never fun, and oftentimes nor is it the most environmentally friendly practice. While there ’s often excess water used, you can easily cut back on paper towels used. 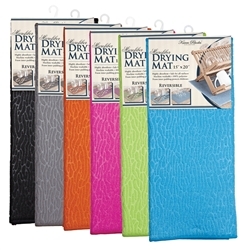 Instead of drying those dishes with paper towels, try a Microfiber Drying Mat. Air-drying dishes is the cleanest way to dry them, and this mat has a gentle padding to keep more-fragile dishes protected. Even after washing a few bowls and cups, it would take a short stack of paper towels to dry them. So cut back with a simple Microfiber Drying Mat. This certainly isn’t a comprehensive list of dorm items that are green or ways to keep your dorm shopping as green as possible. As anyone who tries to live a green lifestyle knows, it takes creativity sometimes. So let these items be your start, but keep thinking green as you continue dorm shopping. After all, until we’re living in space, keeping the earth first can’t hurt!